Indeed, in most normal societies, the idea of lowering the age of potential criminality to nine would not only shock most people, it would be extinguished long before it ignites past a twinkle in the eye of a congressman or member of parliament mulling the notion. Not in the Philippines, though. The number of legislators and, overall, members of the broader Filipino public willing to consider the proposal is quite significant so much so that four out of five columns in the Opinion section on the Inquirer today explores this quaint topic. There is, therefore, reason to believe that Filipino children are different, or that Philippine society, in general, harbours a regard for their kids fundamentally different to more advanced societies where people trust a system that exempts kids from criminal liability. Perhaps it could have something to do with a collective frustration over what could be the lack of a deep sense of accountability in Philippine society around the raising of kids. Let me explain. Use of condoms and other contraceptives are frowned upon by Filipinos so there is a higher than likely proportion of unwanted offspring being conceived. Abortion is illegal, so there will be a higher-than-normal proportion of unwanted kids being born. Divorce is illegal. So there will be a higher proportion of kids growing up in dysfunctional households. Many kids are half-parented by overseas foreign workers (OFWs) so many Filipinos will have been subject to sub-optimal parenting. In short, Filipino children are raised by parents who are protected by thick layers of plausible deniability from accountability for the outcomes of their “parenting”. Add to this the long-recognised characteristics of how Filipino kids are raised. They are taught what to think rather than how to think. Instead of being raised to be independent individuals, they are regarded as retirement nest eggs by their parents — potential sources of income well into their twilight years. 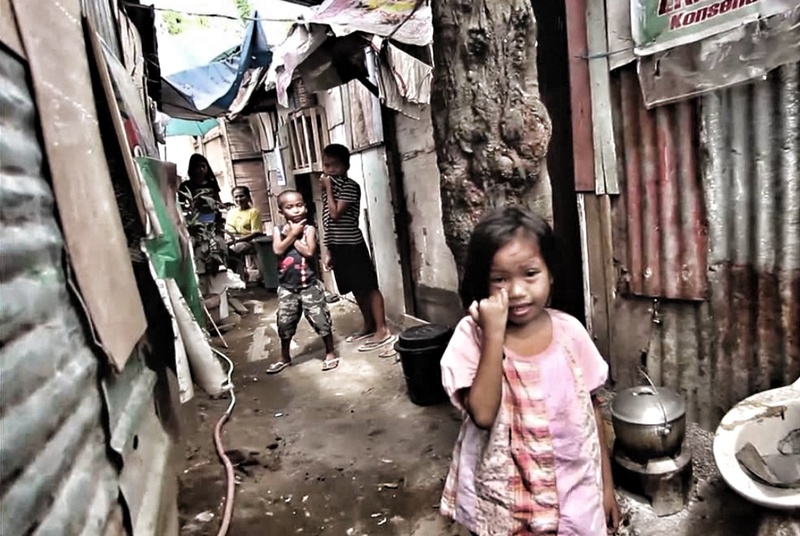 Filipinos are either coddled by servants well into their late 20s or sent out to make a living on the streets and rice fields at nine years of age. Put together the two — (1) kids as “blessings” or “curses” rather than choices and (2) medieval parenting once stuck with them and you get a people who see kids as acts of God and not one that sees kids as potential contributors to their society’s fortunes. Perhaps this is the collective psychosis that underlies a society willing to consider treating kids as young as nine as criminals. If so, then shrieking about “questionable legislation” crafted by “evil” politicians is not the solution. The solution starts with a critical examination of the parenting infrastructure of Philippine society and its key pillars — a national religion that subjects people to children rather than encourages family planning, a tradition of intellectual bankruptcy that severely delays or degrades adult-level thinking in the youth, and short-sighted financial sensibilities that culminate in an enormous dependence on foreign employment and wage-crushing commoditisation of “in-demand” professions like nursing. In short (again), there are deeper reasons why the idea to reduce the age of criminal liability actually catches wind and flies in the Philippines’ so-called “political debate”. This is where the Opposition, again, is an epic fail in its role as an intelligent challenge to a popular incumbent government. Rather than bring the debate to the core problems and issues, the Opposition’s pre-eminent “thought leaders” dumb it down at the altar of their clan agendas. Next Article Fake News Crybabies have TAKEN OVER social media! Blaming 9-year-old children instead of their despicable parents? Only in the Philippines. I suppose all this doesn’t alter the fact that a lot of 9-year-old Filipino kids ARE damaged beyond repair, and will go on to produce more damaged kids. That’s a slightly different issue. Because you have nothing to say, seeing as you don’t even know how much of a subversive influence you have always been. It’s traceable to the spoiled culture we have where parents are themselves expecting to have their children provide for them when they’re older. Some go as far as to retire early and the moment their children start working, they start demanding money from their children. Same bear as many children as they can to have a lot of providers, without thinking that they’d risk some of their children’s lives in the process (and that should be a human rights issue). Also, when children are stealing, mugging, robbing cars on the road and being in akyat-bahay raids, “where are the parents” sounds like a naive question already. Either the parents are the ones who taught them how to commit crimes, or the parents left them to others who do. The Philippines is a culture of abusive adults. Arrogance is just another word for elitism or a product of it. Humility is the opposite of arrogance but in the Pilipino mind being just ordinary is boring, we all want to be treated special, like an elite, But we all know that this is a system that only a few emerge successfully at the top, and the short-cut way to be above all others, is by way of corruption. If Jesus is watching the Pilipinos from heaven, he will surely say, “I failed”. Stop blaming corruption and the “elites”. the only thing the “elites” have that the regular people don’t is intelligence! I am NOT talking about education, i said INTELLIGENCE, thats something that must be taught. Stupid people vote and trust people who know how to use stupid people….. So you are one of those who believe that only the elites are the ones with the intelligence who can lead the country to progress because the ordinary people got no intelligence. If the regular people have no intelligence then they would be dead by now but that would be a good thing isn’t it? If the regular(ordinary) people are all dead, then the elite have solved their problem, right? Some, Chino? I’d say MOST. I’ve met any number of Filipino adults in their 40s who “retired” the moment their teenage kids landed some low-paying job, and take every last centavo off the poor kids … thus ensuring that they’re never able to build a life for themselves. All of my employees give a large fraction of their pay packet (or all of it, in some cases) to their waste-of-space parents and/or deadbeat siblings. >> Either the parents are the ones who taught them how to commit crimes, or the parents left them to others who do. The Philippines is a culture of abusive adults. Exactly. And the fact that the politicians are even considering punishment for the children rather than the parents suggests that this is normal, acceptable behaviour. The idea of hero-martyr-saint is meant for abuse. I am not sure but I do get the notion that not everybody gets retirement money after his/her 65th year of age in the Philippines. So from that aspect (and perspective) it may be obvious the need for something that looks like a retirement schedule (one’s own kids). The same applies and counts for having a health insurance. As long as not everybody has that, somebody else will need to pick up the tab (one’s own kids or other relatives). So, in a way, I am sure when both (retirement scheme and health insurance) are covered for every single individual in the Philippines, the explosion in population growth will come to a stand still. Add to that – as long as nobody procreates for religious reasons (“go and multiply”) and not do it out naivety nor ignorance, the problem of population growth must be solved. Including criminality amongst youngsters. It also solves – partly – the poverty in the Philippines (IMHO). Retirement money will not fix anything. It’s always so funny that a materialist tries to answer a question of culture and morality with simplistic talk of “incentives” and “money”. It’s fools like you that ruin discussions. And countries! And welfare of any sort will only worsen the problem. Because then the adults will become spoiled. And you will only have yourself to blame for all the evil and destruction you will have brought on the world. Kill yourself. It’s the only good thing you can do. This article is spot on. I have observed the PH culture for many years now. This society needs to change from what to think and teach them HOW to think. PH society will not advance in the world unless they change how they raise their kids. There is not much discipline in this society and I somehow, really wonder, if PH people need Democracy or Martial Law. Mid-evil half-baked parenting, bordering on “satanic”. Who is responsible for this? I guess the RC “church” needs to remove those horn-shaped double quotes and hire non-“castrated” priests with genuine parenting experience. Fix the parenting issue and we fix the country. But it’s a chicken-egg problem, like every other issue in PH. There’s always a root cause for every other root cause, which is why The Matrix was such a big hit. Anyways, congratulations to PH for the 7M tourists last year, even with Boracay closed down for half a year. A little bright side to balance out the “evil”. – what those 7m do visit in PH? – how long those 7m visit PH? We should lower the Age of Criminal Liability. Only, we must incarcerate them to a place, where they can be taught to be better citizens, and to be reformed. Do not put them with hardened criminals …we hope our leaders and those idiot politicians, who want to score points on this issue are reading this blogsite and listening ! Or we can just improve the public school where they can learn to become a better citizen. Yeah, but who are these self-serving politicians who uses poverty to promote themselves? What are the odds these Filipinos who are bad parents would even listen to sound advice? The only parents who can truly focus on being better parents are those filipinos usually belonging in the middle and upper class who have time for parenting. They can provide their children with better food, better clothing, better shelter, better health, better education, better love, affection and guidance. Parents of poverty-stricken families are focus more on their livelihood and survival. Both parents and children always find whatever ways for their existence… everyday or night. That’s the reality of it. There’s a chance for these children in conflict with the law to be reformed in certain institutions. But when returned to their real world, chances are they’d go back again to their mode of survival and/or criminality, of course, in connivance with criminal adults. Poverty is still a factor that, though, not always, can cause bad parenting, which, in turn, can result in bad children that will contribute to an outcome of a bad society. Younger children, marked as criminals, early on will only result more of loss opportunity in the future when it’s time for them to seek employment. Lowering the age of criminal liability will not entirely solve it, but, rather, social upliftment will. An approach in social balance is key. And thus, the Cultural Marxist reveals his material lies and his own ineptitude. Witness how a century of arguing over Socialism and Capitalism has lead to degeneration and foolishness. Thabk you for making this easy. I also know where you live. Castrate those people who cannot do this, not lowering the Age of criminal liability ! A lot of the poor are actually willing to work. It could be just finding ways where they can contribute and be trained to be productive– so they can at least meet their basic needs and take better care of their families. Given other options, they probably wouldn’t involve themselves in crime. Sorry, but that simply isn’t true. The poor are poor because they perpetually make decisions that have no possible outcome except poverty. They steal because they like stealing. They abuse their children because they like abusing their children. And they don’t work because they’re unemployable. You cannot “educate” this away because it is deeply ingrained; the best you can hope for is to raise a new generation who understand how to manage their money, how to take responsibility for their own future, and how to treat others with civility. But to do that you have to ensure they don’t listen to their stupid parents, and that’s pretty hard. This is one of the main reasons why Filipinos, in general, need a Mommy Government. Laws on enforcing parental responsibility is needed to force these unfit parents to become fit. But how do you explain the rich who steal? It is easy to explain why the poor steal, it is because they have no money, but the rich, they already have the money, so why? Can anybody explain? But I guess we know the reason why, it is just that it is easy to blame the poor. The poor don’t steal because they have no money. I’ve had no money (as in, not enough money for food), and I didn’t steal. The poor steal for the same reason the rich steal: because they want to, and because they can get away with it. Good post, but your attempt psycho analyzing the country shows that you and the collective audience of this failure of a website are still beholden to the very things that are the core problems that your stated enemies happen to also have as core beliefs. Intelligence is meaningless beyond a certain national IQ average (Largely genetic. And it’s worth noting that Western Nations in their best times prior to the cuckening caused by Liberalism™️ were one IQ deviation lower than Oriental East Asia. And look at the progress they attained, however meaningless that term has become) and this masturbation on the imagined goods of modernity and the imagined evils of tradition show that you have failed to present yourselves as any meaningful opposition to the true problems our country and the world face. You’re getting closer. All of you. Just push a little more and cast aside any romanticism you have towards Rationalism™️, Secularism™️, Liberalism™️, Intelligence™️ (Besides, we all know that wisdom and truth are superior) and Modernity™️ and you will be on your way to addressing the real issues that beset us.